This multiplayer game has got us buzzing. 90 short words for you busy bees to spell. 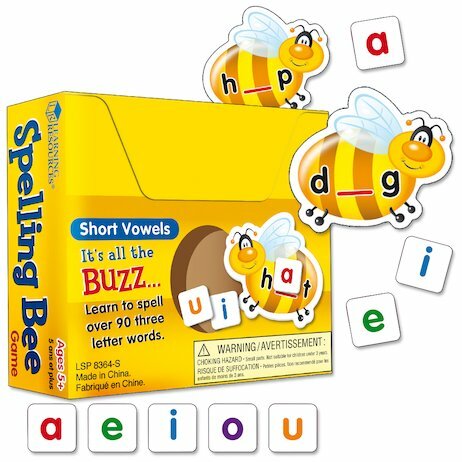 You get 20 cute and cheerful bee-shaped spelling boards, plus lots of simple everyday words to spell. What could be sweeter? Just add a vowel card to complete each three-letter word. The first player to use up all their vowels is the winner. Make sure you’re first to the honey pot. But don’t forget to look out for the stinging bee!